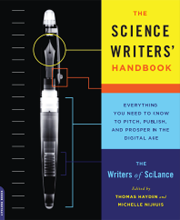 The Science Writers' Handbook (Da Capo Press, 2013). Kendall Powell '02, founder of SciLance. Eight graduates of the UC Santa Cruz Science Communication Program are among the contributors to The Science Writers' Handbook, a comprehensive new guide to popular science writing. The 320-page guidebook, edited by freelance journalists Thomas Hayden and Michelle Nijhuis, was published this month by Da Capo Press. It features 26 chapters and numerous sidebars and boxes chock-full of tips about working and thriving as an independent science journalist. The authors are members of SciLance, a national virtual network of about three dozen freelance writers founded in 2005 by Colorado-based journalist Kendall Powell, a 2002 SciCom graduate. Chapters cover the craft of science writing (story ideas, proposals, narrative storytelling, working with editors), the lifestyle of an independent writer (loneliness, rejection letters, work-life balance), and the business of freelancing (networking, contracts, ethics). Along the way, the authors richly illustrate key points with tales from their own careers or those of their colleagues. "Writing about science can be exalting, enlightening, and rewarding," says noted freelance journalist and author Carl Zimmer. "It can also be maddening, baffling, and terrifying. The Science Writers' Handbook is dense with sage advice on how to make your experience the former rather than the latter. These are lessons it takes years to learn on one's own; this book feels like a wonderful cheat sheet for the profession." The SciLance team also runs an advice-rich blog for science writers, PitchPublishProsper.com, featuring several new entries per week. • Emily Sohn '00, on "Finding Ideas." • Andreas von Bubnoff '05, on "Getting the Story, and Getting It Right." 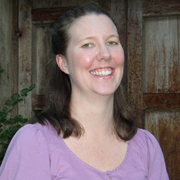 • Jessica Marshall '05, on "Working with Editors—and Their Edits" (with Monya Baker). • Bryn Nelson '99, on "Avoiding Domestic Disasters." • Cameron Walker '02, on "Networking for the Nervous." • Mark Schrope '99, on "Contract Literacy." • Helen Fields '03, on the differences between journalism and promotion, and starting one's own group of writers. The Science Writers' Handbook was partly funded by an Ideas Grant from the National Association of Science Writers. NASW authors assembled the other central guidebook for the profession, A Field Guide for Science Writers (Oxford University Press, 2nd edition, 2006).